If you’re a barbecue fan, it pays off visiting the best barbecue restaurants in Rochester NY. Spend a great time eating your favorite pulled pork ribs, brisket, beef, and chicken barbecue with beer, soda, or any of your favorite drinks. Surely, you don’t want to miss the best steaks and sauces, too. That’s why we have reviewed and compiled the best barbecue restaurants in Rochester NY. Check them out. If you’re looking for the best barbecue restaurant in Rochester, Dinosaur Bar-B-Que marks a good name, which is located at 99 Court Street in Rochester NY. It offers American cuisine and gluten-free options, where you can enjoy lunch and dinner, as well as the late night bar ambiance. You’ll enjoy a good meal with your peers, so as excellent service. The prices are reasonable, and you can reserve for special occasions like birthdays and corporate events. The décor of the restaurant is fun. Enjoy live music during summer with a fantastic atmosphere. You can park on the street on weekends for free. The food is excellent with their local cuisine, and a wide variety of barbecue choices such as pulled pork, ribs, and brisket. Dinosaur Bar-B-Que takes pride because of their best sauces in town. Your kids will love the large meals so they’ll enjoy revisiting the place. You can order a couple of beers, which are excellent when paired with ribs while chatting with friends after a hectic day. Expect great services even if you’re a large group with more than 20 plus people. The servers do a great job every time. The restaurant is just a walking distance from hotels. Reserve a table with a river view to fully enjoy the experience. It is equipped with free Wifi, high chairs, television, and a full bar. It is also wheelchair accessible. BoBo’s Chicken Shack is located at 532 Joseph Ave, and it’s one of the best barbecue restaurants in Rochester, NY. Aside from the fantastic barbecue offerings, you’ll love the wings with sauce, greens, sweet bread, and mac and cheese too. Their cornbread is super light, sweet, and fluffy like a cake with a unique vanilla flavor. And you’ll never forget the delicious taste of their burgers. They serve a wide array of food options such as fried chicken wings, collards, yams, ribs, corn head, shrimp, and mac and cheese. The mac and cheese are seasoned well, cheesy, and creamy. This restaurant is a take-out zone, so don’t expect lots of tables and sit-down areas. Each dish you take outcomes with meat (ribs or chicken wings), and two sides (mac and cheese, yams, or collard greens), rice, and cornbread. You can also add shrimp for an extra cost. The yams are sweet like candy, and the rice has a delicious chicken taste. You’ll be amazed that both chicken wings and ribs are well-seasoned and fall off the bone because of tenderness, which is paired with their authentic sauce. Texas Roadhouse has a romantic and fine dining ambiance, which equates to good food, so you can give your fiance the best gift ever. The restaurant has awesome steaks and tasty barbecue that you can try. The bone-in ribeye is highly recommended. Texas Roadhouse offers large food portions. You can also enjoy Legendary Margarita or Ice Cold Beer. Good Smoke BBQ is located at 326 W Commercial Street, East Rochester. It offers incredible meals including crispy ribs, cheesy tater tots, mac and cheese with cornbread, and more. The ribs are crisp and delicious, and the brisket is moist and tender. You’ll keep coming back with their pulled pork egg rolls. Here are the best things about Good Smoke BBQ. The interior of Good Smoke BBQ is filled with ribbons and trophies of their winnings. Enjoy the casual atmosphere. The outdoor seating in a hut is nice and functional. Choose your food in a huge menu and order at the counter. They’ll bring the food to your table. The meats are crispy, including pulled pork, ribs, chicken, and brisket. Enjoy huge deep fried ribs with a sweet sticky sauce. The chicken has a flavorful skin and super moist meat that falls off the bone. The sides include cheesy cajun taters, french fries, cajun corn, and smoked potato salad. The combo meals come with cornbread. Bring even up to 26 people and enjoy pulled pork sandwiches with coleslaw, as well as cornbread and baked beans, too! Located at 625 Culver Rd, the Sticky Lips Pit BBQ is one of the best barbecue restaurants in Rochester NY. The restaurant offers local American cuisine, good for kids after visiting the museum, and large groups. The place has a nice outdoor ambiance. Its décor is similar to The South, Texas, and Nashville. You can order food if you’re on-the-go. The staff is accommodating and friendly, and the prices are reasonable. You can hang out at the bar and enjoy a couple of drinks while waiting for the main menu. The barbecue food offerings are unique and impressive. Enjoy authentic and mouth-watering pork and beef barbecue with generous portions. You can also try their chicken, jambalaya, and combo dishes. Expect to get additional sauces served at each table, which are also a good conversation starter. You’ll love their sauces, like the cherry bomb sauce. Enjoy good music and good food during the evening. Be reminded with your family cookouts with kids bonding and dad working on the grill with Famous Dave’s. You’ll be welcomed with a pleasant and flavorful smell as you enter the restaurant, and enjoy a full rack of tasty ribs. Savor each meal, and you can even save a couple of ribs for lunch the following day. Whether you’re nearby or far from Rochester, NY, you shouldn’t miss out visiting one of their best barbecue restaurants. 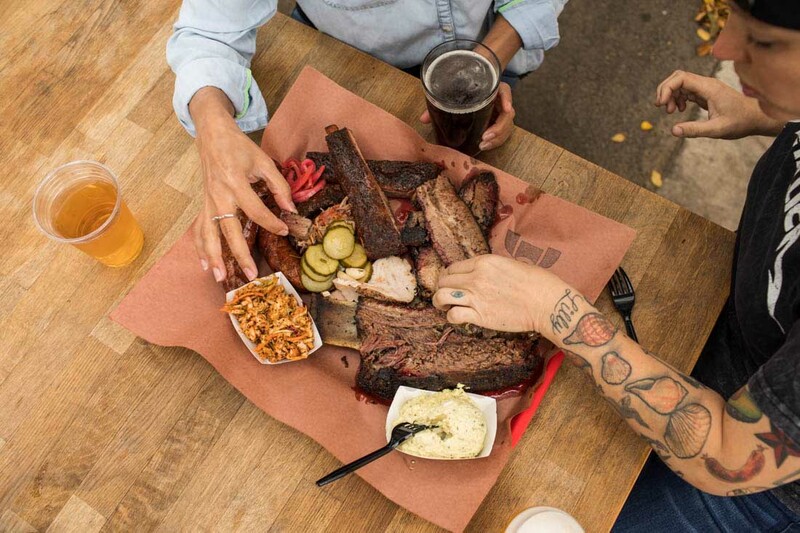 If you love barbecue, sauces, and side dishes, these restaurants have a lot to offer. Experience authentic local cuisines and excellent staff services every time. Key Steps For Building A Successful Business. Reliable Ways to Gain a Financial Freedom. CBD Oil For Pain Management: Should You Hop Into The Bandwagon?